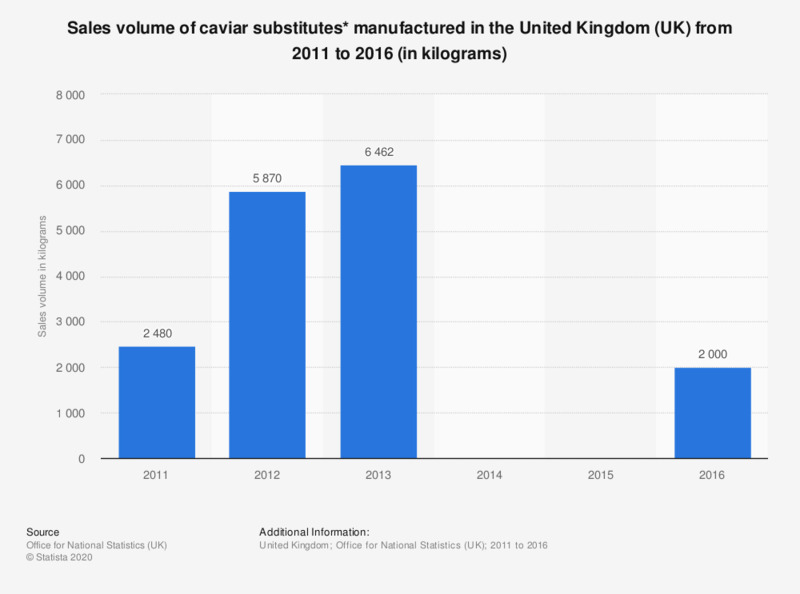 This statistic shows the total manufacturing sales volume for caviar substitutes prepared from eggs of fish other than sturgeon in the United Kingdom (UK) from 2011 to 2016. In 2013 the sales volume of preserved fish peaked at 6,462 kilograms. * Caviar substitues prepared from eggs of fish other than sturgeon.